Customer Relationship Management (CRM) software is focused on managing and developing the way in which customers interact with an organization. It looks at the multiple avenues available, including marketing & sales of product and services, customer support & feedback, as well as retention and strategies for building stronger product loyalty and future sales. CRM looks at automating all these tasks to improve productivity as well as develop a larger customer base, while providing a technical solution that is simple to use by both businesses and their customers. 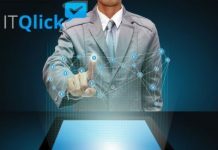 At ITQlick we understand that small & medium businesses (SMBs) already have a customer base and are looking at ways to develop and mine these customers for new business, as well as work on new customer acquiring. This is why we look to recommend the best CRM solutions that can be used by your organization that combine factors such as reasonable price, provision of major functionality, ease of use, low infrastructure investment, as well as a clear growth path to allow the software to adjust itself to an evolving business. During our research we have reviewed a number of CRM solutions and some of our best recommendations include the following. Salesforce.com is a cloud based solution provided on a per user subscription basis with a free trial period, meaning that no significant technology investment is required and it can be easily accessed via the web. In addition customers will get access to a rich portfolio of solutions that include Sales, Service, Marketing and Social Collaboration features. The product’s Data Analytics allows companies to track customer buying patterns and behavior, and derive insights that can be used for optimizing continuous sales targeted to these customers. Finally, the software is scalable for any size of business, which makes it attractive to SMBs that are interested in expanding their implementation when their business grows. This is a suitable product for companies looking for comprehensive CRM functionality. Infusionsoft is a solution focused on the sales management requirements aspect of CRM. Its features include lead management and conversion, marketing campaigns and email follow up, as well as e-commerce support which that comes with an online store which can handle enquiries, sales, payments and fulfillment. Through its analysis of lead behavior and customer buying patterns it can recommend marketing strategies to improve conversions. While it is a cloud-based solution, its pricing packages are based on the number of contacts a business plans to manage & features required. This might be a more expensive option for an SMB, but a business with a well defined market base may find this to be a useful option to explore. Netsuite has the advantage of providing a full suite of ERP applications including CRM, offering SMBs not only the CRM solution, but rather a scalable product that they can easily expand to include such things Financials & HR later as their business grows. Netsuite offers marketing automation, opportunity management and sales forecasting, sales commissions and order management, as well as customer service and performance management. Additional advanced analytics and dashboards provide useful insights and strategies to improve customer service while increasing business engagement. It is a cloud-based solution which is moderately priced within the range of most SMBs, and it is a good option for those looking at partnering with an ERP vendor for future expansion needs. This solution includes sales, marketing and customer service management with collaboration features such as Social Selling, Workflow Management, and Customer Data Aggregation aimed at improving engagement prospects. SugarCRM can handle multi-channel marketing campaigns and lead development, as well as provide self service portals and knowledge bases for an efficient customer service. As a cloud-based solution with a subscription model, SugarCRM is a good option for SMBs looking for a full function CRM tool that is reasonably priced and can improve information collaboration and customer engagement. It can also be scaled for larger requirements as the business grows. Mothernode CRM offers leads and campaign management, sales and customer management, customer quotations. and data analytics, along with social collaboration features. Mothernode is mobile device access ready and provides its own ERP suite to integrate with the CRM application. This is a cloud-based solution which is offered with a free trial, and SMBs have the added benefit of choosing a package with the functionality specific to their requirements. It should be mentioned that this system is focused only on the SMB market and is not oriented towards larger companies.